I recently had a stapedectomy. Can I dive? What are the risks? Ear, nose and throat (ENT) surgeons trained in dive medicine differ in their opinions regarding the wisdom of diving after a stapedectomy, which is a surgery to treat hearing loss by replacing the stapes bone in the middle ear with a prosthesis. This controversy extends to diving with any ear condition that increases the risk of permanent injury. All of us who dive place our hearing at risk, and barotrauma (pressure injury) of the middle and/or inner ear increases the risk of hearing loss. 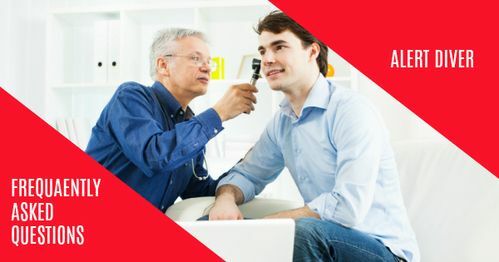 While some ENT experts absolutely recommend against diving for individuals with existing ear issues, others opine that patients who understand and accept the potential risks may dive. Limited studies have described small numbers of people diving after stapedectomies. The results from these samples indicate that the subjects are not at increased risk of injury when compared with the control groups of divers — provided they can safely equalize their ears and sinuses with the changes in ambient pressure. With that said, the consequences of failure to equalize can be greater for those who have undergone stapedectomy procedures. The inability to equalize the middle-ear space effectively or an attempt to do so too forcefully may dislocate the prosthetic stapes. Dislocation can be corrected only in surgery and may result in permanent hearing loss. Diving after a stapedectomy also carries the risk that dislocation of the prosthesis may damage the round or oval window of the cochlea. Such an injury can permanently affect both hearing and balance. Again, it is not that the risk of injury is necessarily greater than that faced by other divers, it's that there are greater consequences in the event of an injury. Before deciding to pursue or return to diving, it is clearly in your best interest to candidly review your fitness to dive with a doctor and make a brutally honest risk/benefit analysis based on the information available. Contact DAN if you would like more information.